Week 1 of PROCLAD Academy’s highly interactive 10-day Contract & Project Management Professional training course deals with commercial contract management and follow principles widely used in international contracting. This will provide participants a practical hands-on approach to effective management of contracts and offer techniques and contract strategies to assist this process. 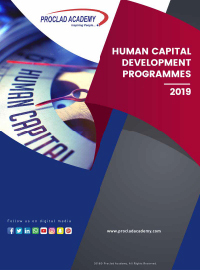 During Week 2, participants will significantly enhance the skills and knowledge of delegates and improve their ability to plan, manage, and control projects. Additionally, the course deals with the systematic identification and quantification of project risks, as well as the development of detailed risk treatment strategies to mitigate all relevant risks that may threaten the intended outcomes of the project. PROCLAD Academy’s 10-day Contract & Project Management Professional training course will include a variety of instructional methods, and involve a high level of interaction. The course will explain principles and issues using real examples, and will involve participants through discussion and debate, and individual and group exercises. Participants are encouraged to discuss their own work-related issues and problems on a confidential basis. There will be ample time for Q & A.